The Rock Mechanics Division (RMD) strives to develop, maintain and promote communications and cooperation between practitioners of rock mechanics and geotechnical rock engineering. It provides its members with opportunities to present the results of professional activities by organizing events and activities to facilitate knowledge, experience and information transfer and exchange. It also provides its members with opportunities to upgrade and update their professional knowledge and skills. Personal subscription to the International Journal of Rock Mechanics and Mining Sciences at a discounted price (see details). Personal subscription to the Journal Rock Mechanics and Rock Engineering at a discounted price. Free download of up to 100 papers per year from the ISRM Digital Library at OnePetro. Established in 1993, the Award honours the past President of the International Society for Rock Mechanics (ISRM), John A. Franklin, for his outstanding contributions to the Canadian and international rock mechanics community, and to the Canadian Geotechnical Society. 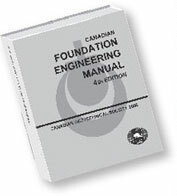 The award recognizes an individual who has recently made an outstanding and published technical contribution in the fields of rock mechanics or rock engineering in Canada and/or internationally. The eligibility for the award is restricted to either CGS members (need not be resident in Canada) or other individuals, resident in Canada, who have provided an outstanding service to the Canadian geotechnical community. John A. Franklin Award presented in odd-numbered years, and will not be awarded in 2018. Dr. Ming Cai received the 2017 John A. Franklin Award at the 70th Annual CGS Conference - GeoOttawa 2017. Please contact the Rock Mechanics Division at rockmechanics@cgs.ca if you have any comments or suggestions.